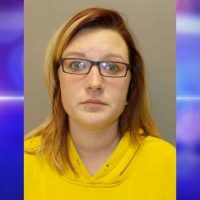 A Donnellson woman has been sentenced to jail time for a crash that killed her husband last year. Court records show that 35-year-old Noelle Cosby was sentenced to five-years in jail on involuntary manslaughter charges last week. She had initially been charged with vehicular homicide for the fatal rollover accident. Cosby was intoxicated and driving an SUV when the vehicle rolled on a curve on Highway 2 near Fort Madison. Her husband Todd was thrown from the vehicle and killed in the crash. He was not wearing a seatbelt at the time.